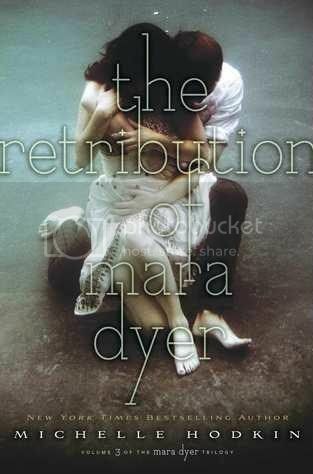 As a huge fan of the Mara Dyer series, I absolutely could not wait to get my hands on The Retribution of Mara Dyer. I needed answers and in a bad way - like most people who are hooked on this series - and I just couldn’t wait to see how the series was going to end. It feels like I’ve been waiting forever to finally have this book in my hands, and once I had it, I couldn’t wait to get started on it. This is going to be a super hard review to write without giving anything away, but I’m going to try! Mara Dyer has been such an intriguing character to me since I first met her in the very first book. In some ways, she is so extremely relatable. Through all of the things that she’s been through over the series, you have to wonder for her sanity. But she’s not the same girl we first met in the beginning of the series; she’s grown and changed in so many different ways over the course of these three books. She’s been such an amazing character to follow in this series, and I’m going to miss her so much now that it’s over. There are also some really great secondary characters that I’ve come to love throughout the series. I’m totally not going to mention any names here and spoil it for you, so I totally suggest that you read the book (and series) to meet these characters yourself. The storyline follows the same storyline as the previous books, except for in this book we finally start to get answers. I wasn’t sure what to expect when I started the book, but I was super curious to see how the story (and series) was going to end. There were a few loose ends that I felt were left untied at the end of the story, but after reading a post by Michelle Hodkin, I see that that is exactly how she wanted the book to end, to leave us guessing. I can see the brilliance in that, I really can, but this is also so insanely frustrating me to me, because I’m always going to wonder. (This, again, is Hodkin’s whole point!) Haha! Overall; The Retribution of Mara Dyer was a really great ending to this amazing series. I’ve enjoyed these books since the beginning, and I really, really hate to see the series end. If you haven’t read these books before, I highly recommend that you do so! I was really curious about what you thought of this one . I have only read the first book, but now I think I may have to finish the series. I'm glad you enjoyed it!